In this gorgeously imagined novel, a journalist interviews those who knew—or thought they knew—Alejandro Bevilacqua, a brilliant, infuriatingly elusive South American writer and author of the masterpiece, In Praise of Lying. But the accounts of those in his circle of friends, lovers, and enemies become increasingly contradictory, murky, and suspect. Is everyone lying, or just telling their own subjective version of the truth? As the literary investigation unfolds and a chorus of Bevilacqua’s peers piece together the fractured reality of his life, thirty years after his death, only the reader holds the power of final judgment. 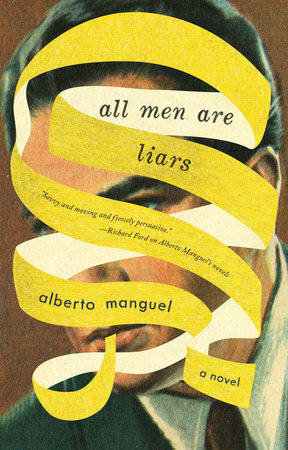 In All Men Are Liars, Alberto Manguel pays homage to literature’s inventions and explores whether we can ever truly know someone, and the question of how, by whom, and for what, we ourselves will be remembered.